Oh yes! I thought, images of quaint Victorian tableaux, saturated panoramas and tacky tourist board propaganda tumbling in my mind. This could be a delightful delve into the city’s past for someone who has been immersed in the story of Leeds since transplanting herself here two years ago. A chance to peer into history and compare what was then to what is now. A rainy evening, and a couple of pints later, the book was presented into my eager hands. But this was not the nostalgic picture book I was expecting. Nor was it a cheesy collection of Wish-You-Were-Here souvenirs. From the punchy, boxing glove logo on the cover, I recognised that this was something much more powerful. 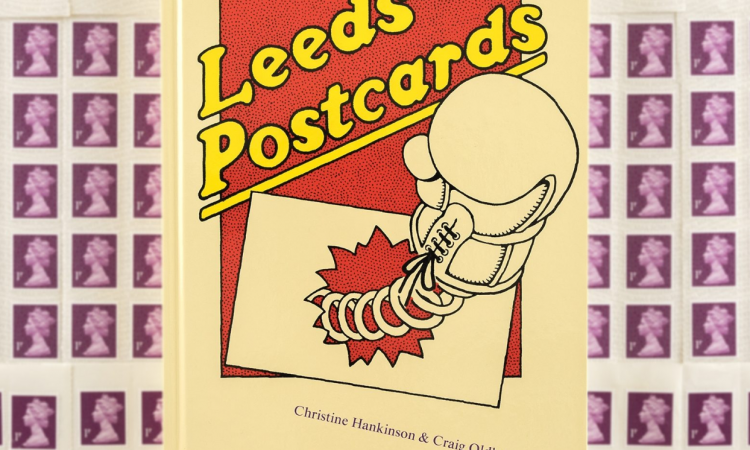 Leeds Postcards was born in 1979, the brainchild of Richard Cross, an activist who saw postcards as an accessible and engaging means to pass political messages to the wider public. “The attraction of postcards was that they were mainstream” Cross is quoted as saying in the concise but enlightening introduction by Craig Oldham. Tapping into this mainstream would become part of Leeds Postcards’ mission to “Inform, challenge, question and maybe just amuse”. These are not postcards of Leeds, they are postcards from Leeds, a city’s defiant challenge to the rest of the world. The use of postcards for political means was not an original one. As Oldham points out, the women’s suffrage movement used them as their ‘weapon of choice’. But Leeds Postcards harnessed this weapon with animated graphics, dry wit and targeted determination. Perfectly timed, with the political unrest of the 1980s on the doorstep, Leeds Postcards quickly grew in popularity and output. Miners’ strikes, the nuclear threat, and of course the heavy-handed Tory government, all fuelled the activist fires. 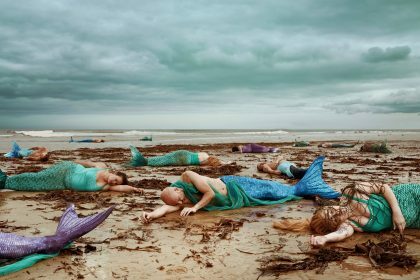 New blood joined the team, most notably Christine Hankinson, who ultimately navigated through the storm of the recession-hit 90s to be the sole survivor, gathering the flotsam, rebuilding the vessel and steering it into the new millennium and beyond. Quite a voyage. The Leeds Postcards book takes you chronologically through this journey starting, naturally, where it all began – postcard L001 – Visual Display Units (1979), a warning from Peter Smith of the hazards of long term use of computer screens. I sympathise with this notion, squinting at my laptop, then my mobile, both rarely more than an arm’s reach away. I turn the page. ‘I Didn’t Vote Tory’ screams white on red. No, me neither I sigh, did anyone? I turn again. ‘No return to backstreet abortion’. I check the date. 1979. I continue flicking through the first few pages. 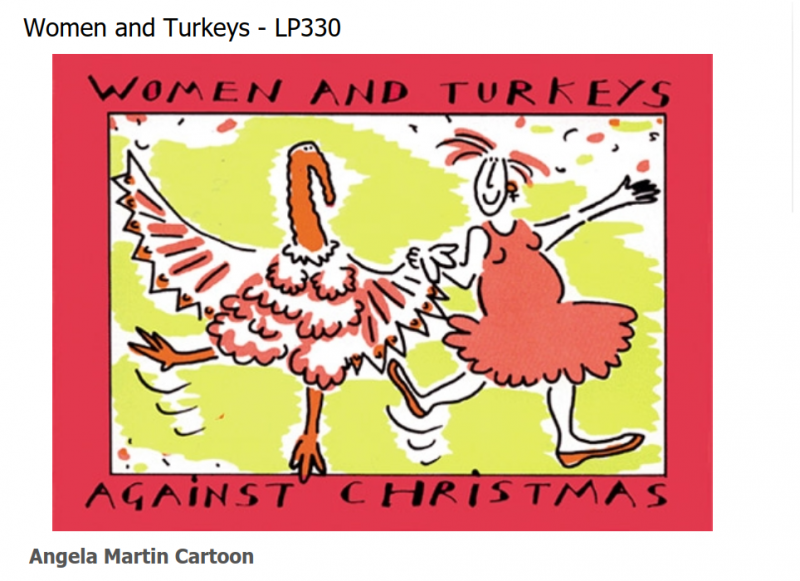 Sexism, women’s rights, Northern Ireland, police corruption… Were these not contemporary? The dates in the captions claim otherwise. I had been looking forward to a trip down memory lane. An ‘oh how different it all is’ retrospective. Instead, I had veered onto an historical ring-road, a lesson in political cyclicality. How we keep making the same mistakes. How we just don’t seem to learn. It’s not all doom and gloom though. Luckily, Leeds Postcards injects a much-needed shot of humour into it all. 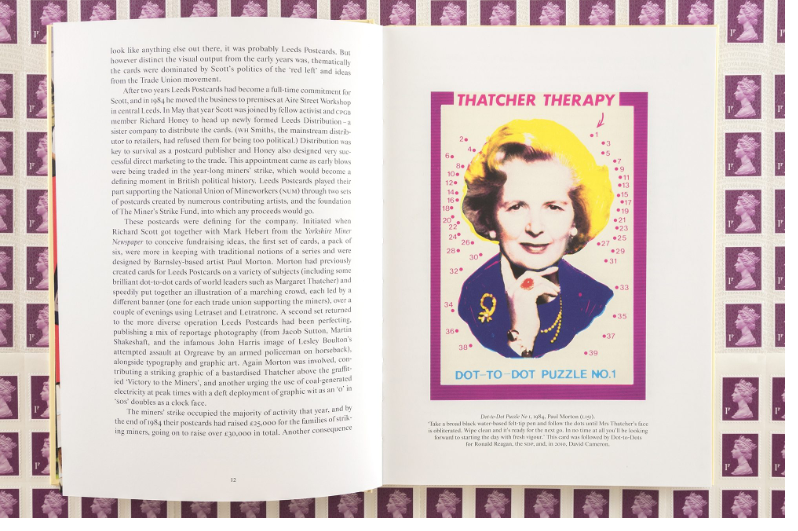 From the Thatcher Therapy dot-to-dot, which prescribes scribbling across the Milk Snatcher’s fizzog in ‘broad black water-based felt-tip pen’ (I want a copy of the David Cameron version, pretty please) to the protesting Snowmen Against Global Warming (“Stay Cool”, “The Snow Must Go On”), there’s a joy to be had in our inevitable doom. And in a world where (as L001 predicted) we are glued to our VDU devices, constantly scrolling through transitory social media, isn’t it lovely to have a thing, an actual solid thing like a postcard, to hold on to, to pass to others and to say ‘we’re not ok with this’? How I didn’t know of Leeds Postcards before now is beyond me. Following years of voter apathy and the resulting political turmoil, it’s reassuring to know someone out there is still fighting. Turns out, I did love this book. And I’m pretty certain you would love it too. Long before I lived in Leeds, my idea of the city was shaped by Leeds Postcards. As a politicall engaged teenager in a rural backwater in the 80s, these postcards were bought and swapped amongst our indie kid crowd endlessly, and blutacked to our bedroom walls, as I suspect they were amongst left wing Northern kids across the land. I’ve always wondered what happened to them, and why they seem to have disappeared from history, so it’s lovely to see this article pop up on my timeline. When I moved to Leeds in the 90s, part of me half expected the city to be just like a Leeds Postcard – passionate, funny, angry and subversive. It wasn’t far off being exactly that.